Filing for bankruptcy in Phoenix is not something to take lightly. 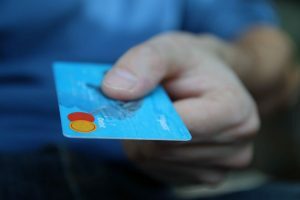 If you need to file for bankruptcy because of your credit card debt, finding a bankruptcy lawyer is the best way to go. Credit cards can be really helpful at times. But if you’re not careful, they could get you into serious trouble. You may think that you will be able to afford the payments you have racked up, but those unnecessary purchases can really come back to haunt you. Here are a few tips to negotiating down your credit card debt so that you don’t have to file for bankruptcy. The first step to take is to determine how much you can pay on your credit card bill if you negotiate your payments. You should be realistic. Don’t go too low, or the card holders could laugh you out of the building. If you give them a realistic amount and compromise with the monthly payment, then you may just be able to reduce your debt depending on the circumstance. Being realistic is about the only way you will make it out with a lower payment or lower amount of debt. The goal is to ultimately lower the total amount that you have to pay. When you call your credit holder, you need to ask to speak with the collections department. They are the ones who deal with matters like this, and they will be able to help you the most. Ask to go here first because this will save you a lot of time and energy from being transferred from person to person and getting none of your questions answered. This will keep you calm and courteous when you do reach the person you need to talk to. The last thing the both of you need is a rude and horrible interaction that fails to help either of you. The person you talk to has the power to help you, and if you’re rude and difficult to deal with, they will turn you down. Another thing you need to do before you call is to research the options you have when you finally get someone on the line. If you’re drowning in debt, it will be a good thing to ask for a lower interest rate. In addition to this, you may want to ask for them to drop the late fees as well. Being in debt is difficult, especially if you don’t have the funds to make the payments. If they don’t want to drop the interest rate altogether, you could still ask for a lower one to make the amount you have to pay less. Interest can really add up in the long run, so arguing for a lower one could help you a lot. You could also offer a lump sum payment in exchange for the company to reduce the amount of principal that is due. Also, you always want to keep in mind that the credit card holder wants to make money. That’s what they are in the business for. With interest, hidden fees, and other penalties, they make tons of money off other people, and they will try to do the same with you. If they don’t make money, the next thing they will try to do is not take a loss. They will do this at your expense, no matter how badly you are drowning in debt. Defaulting customers cost the creditors money, so they may compromise with you and get a portion of what’s owed to them instead of paying the collections agencies, implementing legal action, of having the debt discharged altogether when you file for bankruptcy. In addition to hurting you, it will also hurt the credit card holders. If you negotiate with the person you have called well enough, then you could reduce your debt a considerable amount and save yourself from horrible headaches in the future. If you are in need of an Arizona Bankruptcy Lawyer, come to Phoenix Bankruptcy Lawyers, where we can help you determine what the best course of action is for you and your finances. We can help guide you in the right direction and help you make the best decisions possible for your finances. For more information about Arizona Bankruptcy attorneys, contact us today and we can help you get back on the right track!